Ho Daddy O's Surf and Sport is a water based experience in learning surfing, paddling and stand up paddle surfing -- there is no other locale that offers an all around waterman experience. 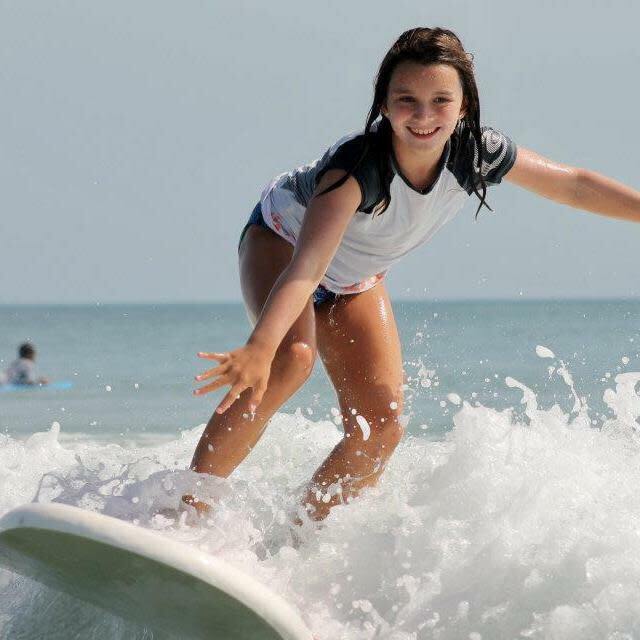 Lessons are offered at Winter Haven Park located in Ponce Inlet, just across the street from Ho Daddy O's Surf Cream, the only surf cream shop on the planet (eat ice cream while getting a tan!) Check out our surf fitness boot camp schools in the summer months. Private and group surfing lessons are also available. Call for more information.